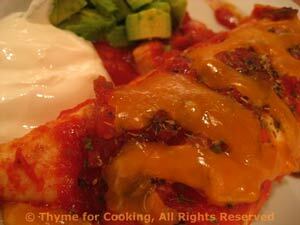 Easy Dinner from Thyme for Cooking: Chicken Enchiladas with Avocado. 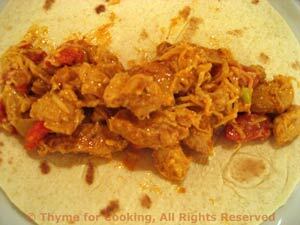 I liked the pimiento so well with the Tuna Enchiladas I decided to use it again. Use something hotter, and or hot sauce, if you prefer.